"highlights : Maa bhoomi Ma Bhoomi Telangana, www.bhoomi , mana bhoomi Download Pahani, Adangal, ROR1B, FMB,Land Records Details of Telangna, Telangana Maa Bhoomi Online ,Aadhaar linking Status, EC(Encumbrance Certificate), Maa Bhumi land Redcord, TS Govt Mee Bhoomi Web portal, Ma Bhoomi Android App"
Latest News in Telangna, Now Check Telangna land record, Pahani, Adangal, ROR1B,FMB status online. 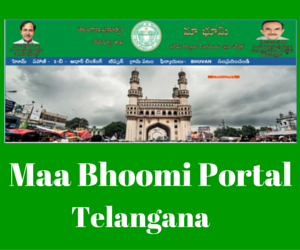 Telangna State Government launched New Web portal "Maa Bhoomi Portal" (http://mabhoomi.telangana.gov.in/ ), will be launched by Chief Minister K Chandrashekar Rao and Deputy Chief Minister Md Mahmood Ali on 17-Feb-2016.Telangna People can avail this website for check their land record,Adangal/ Pahani, EC (Encumbrance Certificate), Market Value, Patta, Ownership and other details through online, and ROR1B,FMD Status through "Maa Bhoomi Portal". Districts of Telangana, Adilabad, Hyderabad, Karimnagar, Khammam, Mahbubnagar, Medak, Nalgonda, Nizamabad, Ranga Reddy, Waranga,Districts, people can avail "Maa Bhoomi" Web Portal. This portal makes all land details available, along with Adangal/Pahani and 1-B details through online.It also consists of details of landowners, area, assessment, water source, soil type, nature of possession of the land, liabilities, tenancy and crops grown, etc.People can check their land record personally. People can necessary entering their Aadhaar card number (UID), or Survey Number or Account Number for view his land records.One can also view Individual/Village Adangal and 1B details on the website. Below following online services are available in " Ma Bhoomi Portal ". How to search Land Record, Pahani, Adangal,RoR1-B details through Ma Bhoomi ? How to check Pahani through Ma Bhoomi Portal ? 4.Choose your District Name Choose your Village Name. Enter your already selected document number. 5.Than chick on "Submit" Button. How to download ROR 1-B Through Ma Bhoomi Portal ? 2 Select " Ma ROR 1-B" for download your personal 1B, If you want to download Village ROR1-B than Select "Grama ROR1-B ". 4. Select your District Name, Mandal Name, Village name in the Drop down Menu. 6. finally get your ROR1-B online. How To check Aadhaar linking status of Account Number ? 1. Click on " Aadhaar Linking "
2. Select your Aadhaar Number or Account Number. 5. Than Click on "Submit" Button. 6. Allow popup window in your browser. 7. Finally check your Aadhaar link status online.